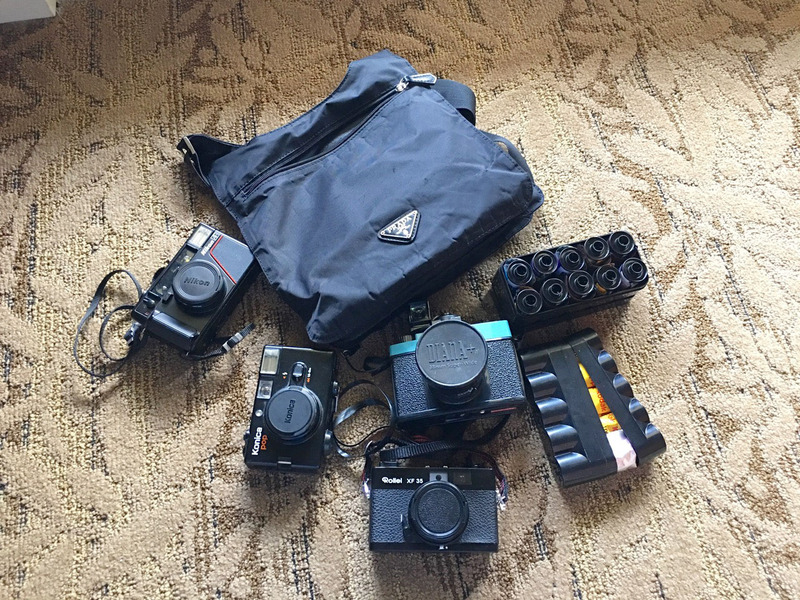 Wow, check out Floyd’s bag…You don’t see many people shooting these any more. 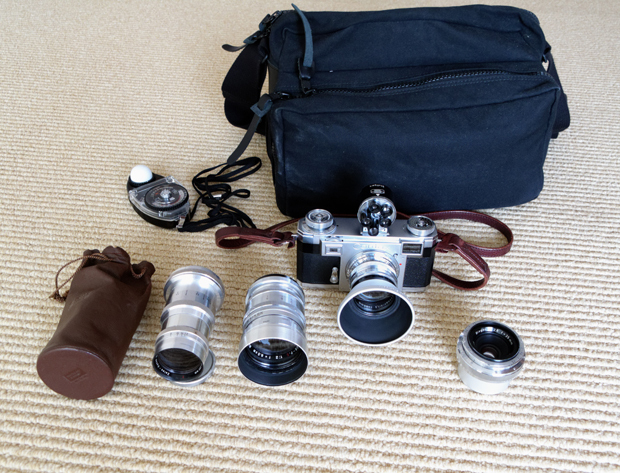 A classic Contax bag. Come and have a good look. While almost all of my professional work is shot with a Nikon DSLR-based kit, I still prefer to shoot my personal photos with film gear. 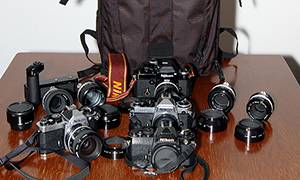 Among the film cameras/lenses l have left: a Zeiss Ikon Contax IIa kit; Zeiss Ikon Super Ikonta BX; Zeiss Ikon Contessa 35; Rolleiflex 2.8F; and, Rollei B35. 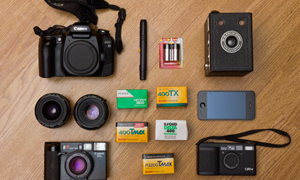 I will often take a scaled-back version of my Contax kit with me on working trips, as I did this month while working on a project in Tokyo. I was able to use the film camera on two of the 11 days in Tokyo. 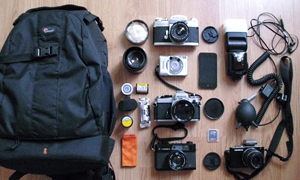 * Artisan & Artist “Image Smith” camera bag, and Artisan & Artist leather camera strap. Thanks for sharing your bag with us Floyd. It is great to see this beautiful classic being put to good use. Check out Floyd’s site and make sure you come and comment. NextWhat is the best Leica M for you? Now THAT is a lovely set of gear. wow… I like your gear . Now that is a purist’s set up. Beyond the M4, M3, SP. I don’t know if I would use that kit, or just admire it! Much thanks to Bellamy for featuring my Contax kit, and to posters for their very kind comments. This is very much a working kit, though I don’t use it as often as I would like. The camera, finder and lenses have all been either sourced and/or overhauled by Henry Scherer of http://www.ZeissCamera.com, perhaps the best Zeiss guru in the U.S. 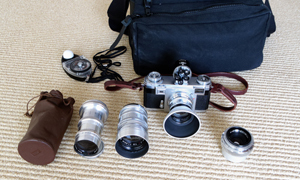 In fact, he’s overhauled my Super Ikonta and Contessa 35, too. One of the best things of a Zeiss kit, of course, is the lenses (even that stunning circa 1954 Nikkor 85mm). I recently picked up an Olympus OM-D E-M5 body and a Zeiss Contax lens adapter to use the 35mm, 85mm and 135mm on a digitial body. The 50mm can’t be used, at is actually has a different mount. There is a 2x crop factor, so all of the lenses are telephoto lenses. The 35mm Biogon, which is effectively a 70mm, is a particularly good match for this combination.